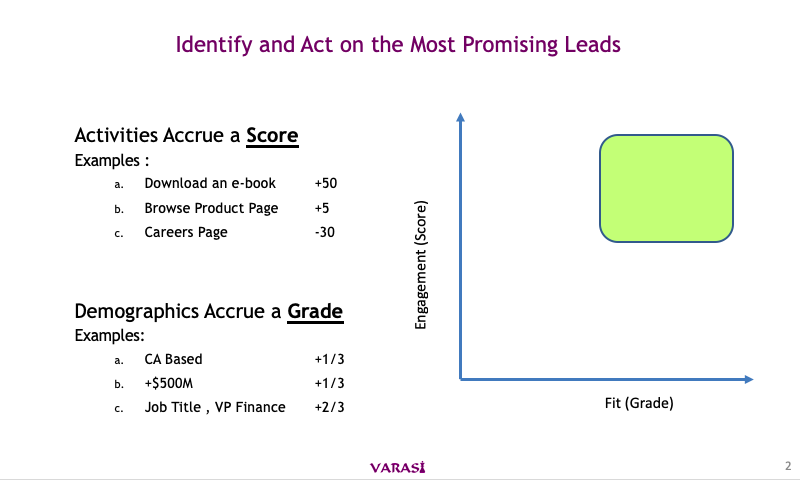 Identifying and acting on the most promising leads is the context for Scoring and Grading. As a marketer, you want to provide your sales teams with the most promising leads to follow up on. We go over some questions we have our clients think through for designing the scoring and grading criteria. This is an excerpt on Scoring and Grading from our Pardot Requirements Workshops.